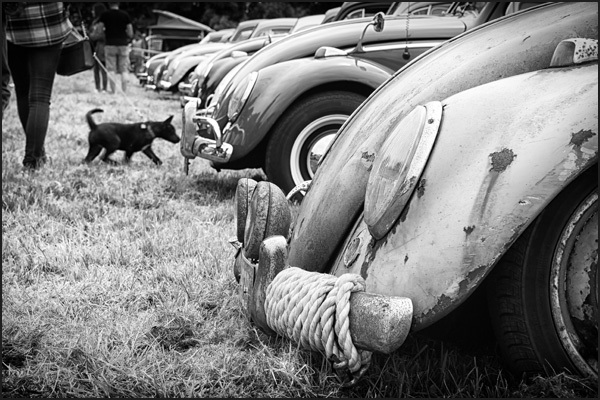 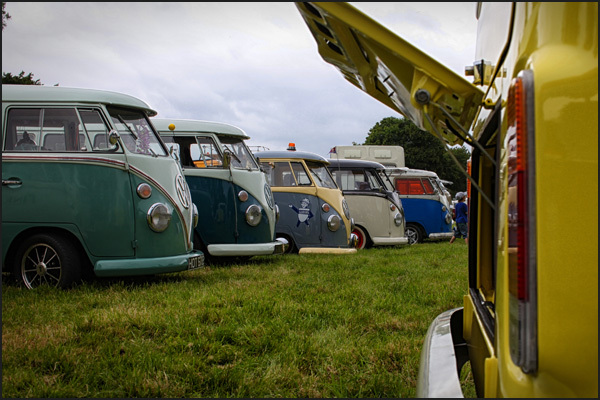 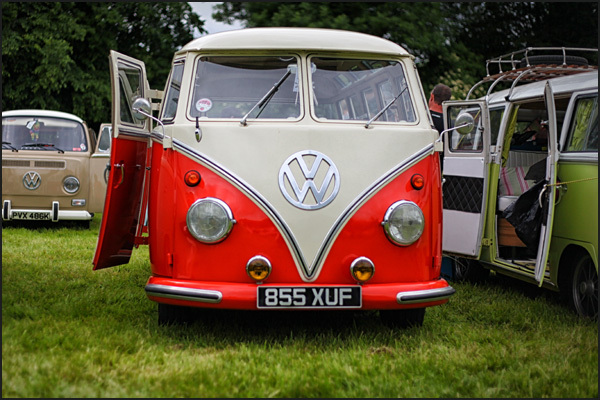 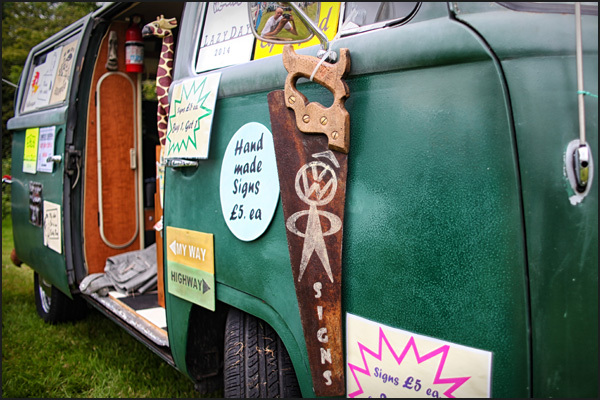 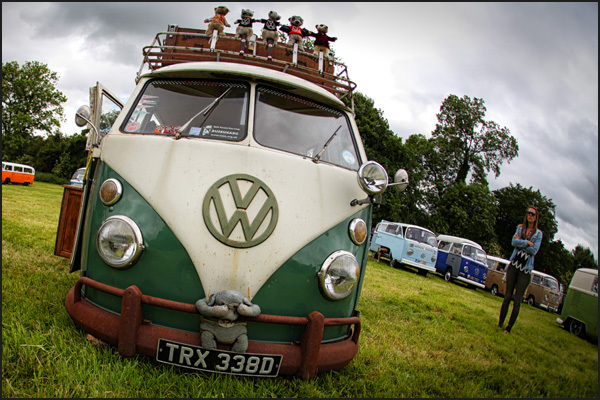 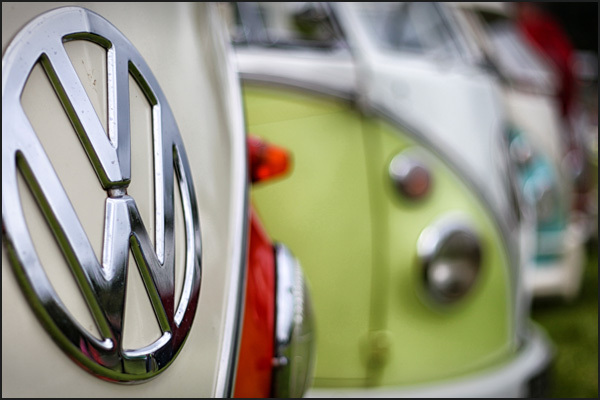 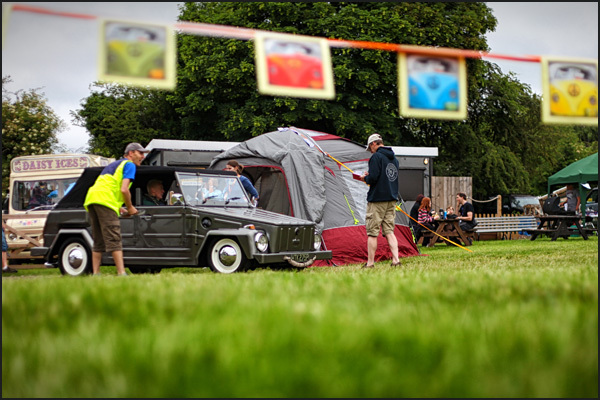 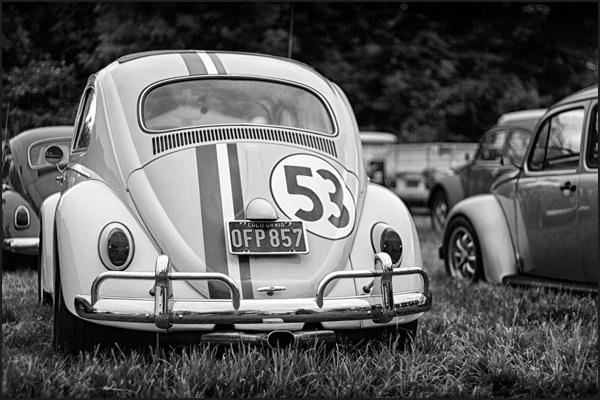 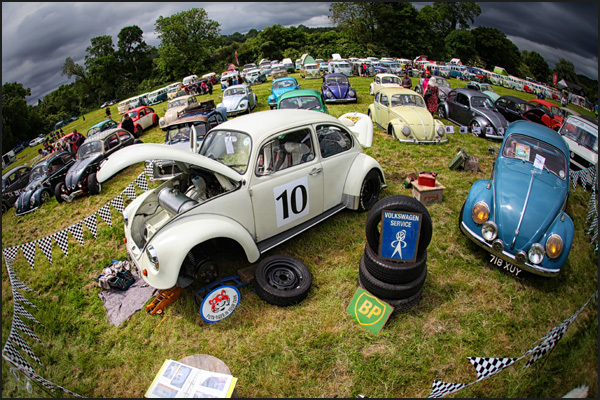 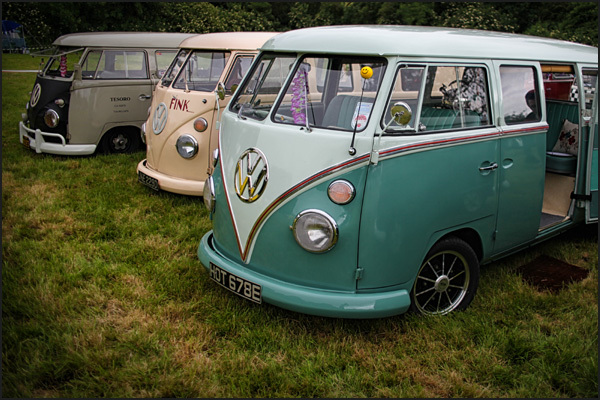 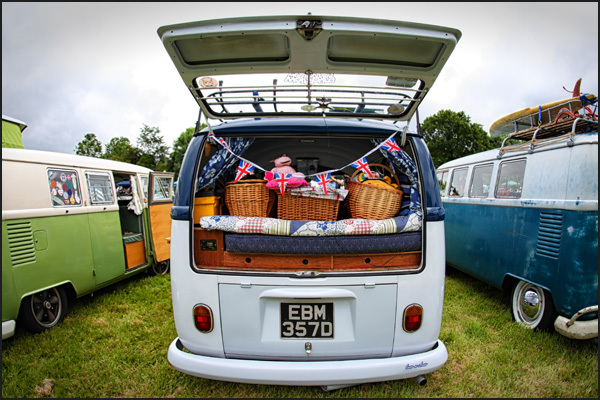 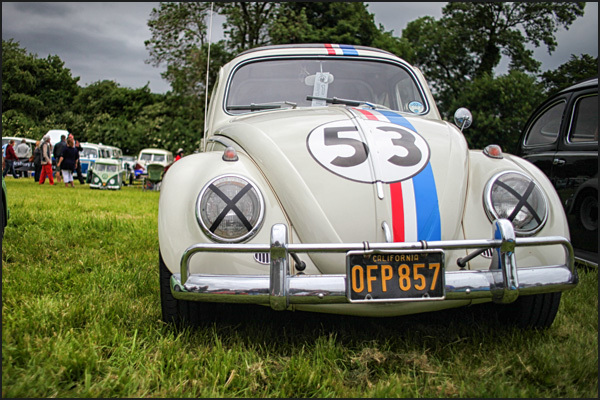 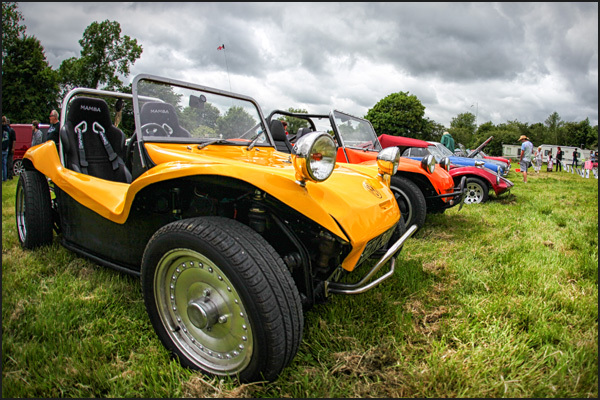 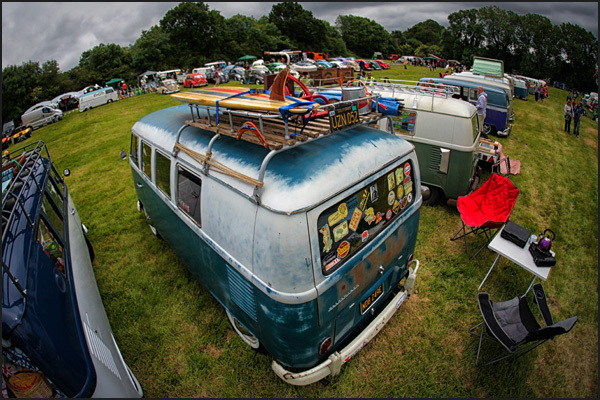 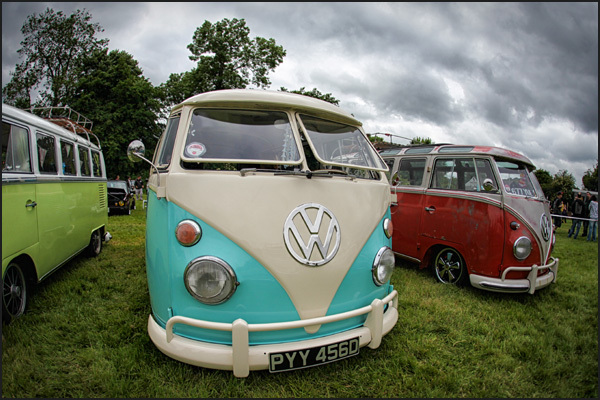 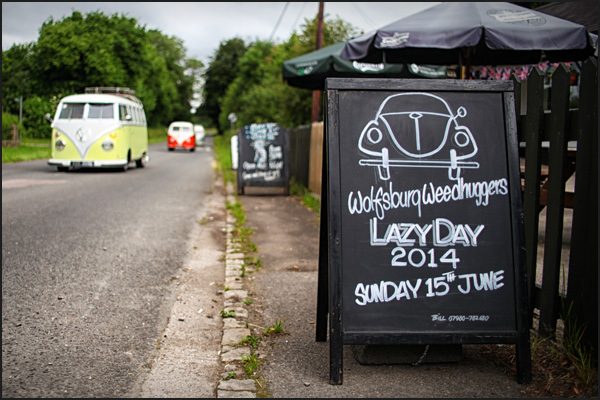 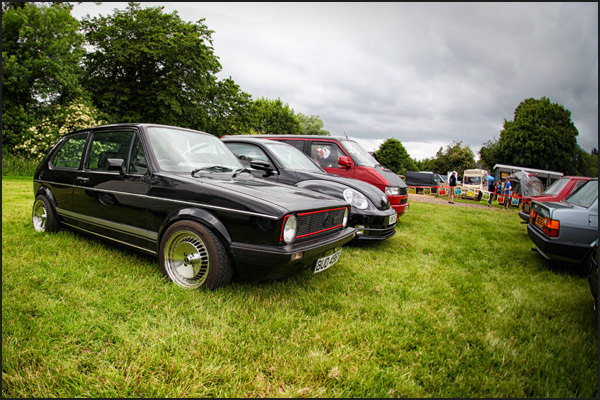 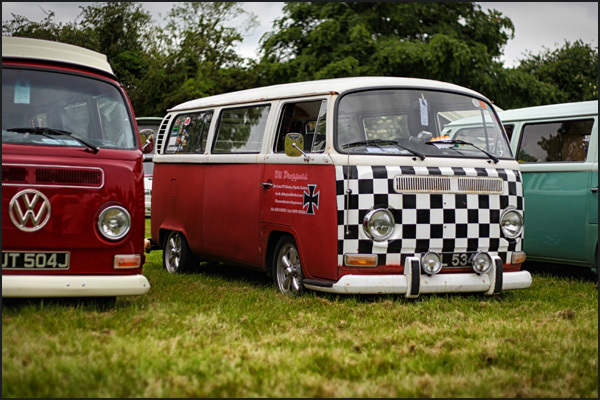 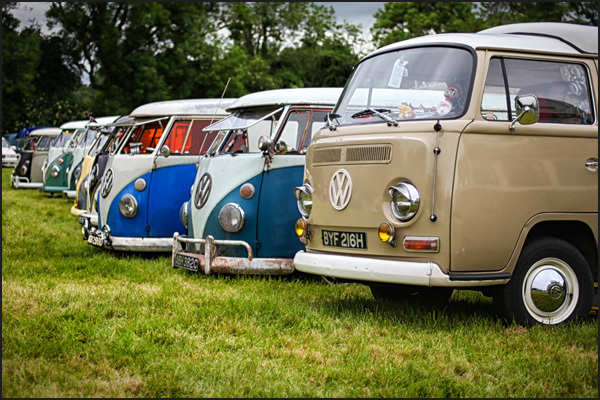 Fathers’ Day rolled round quickly this year for the Wolfsburg Weed Huggers VW Club in sunny South Bucks. 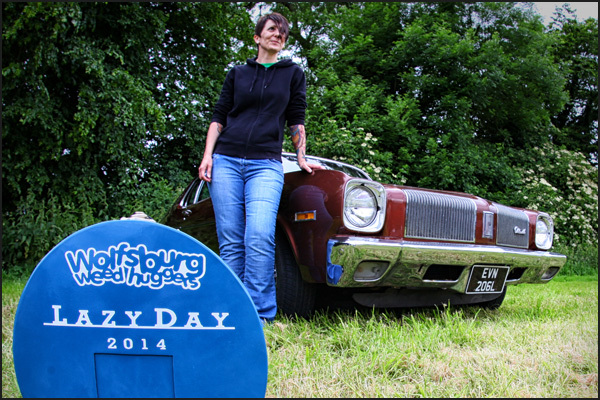 Their ‘Lazy Day’ free show has become a regular event held on this Sunday every year and this year’s didn’t disappoint. 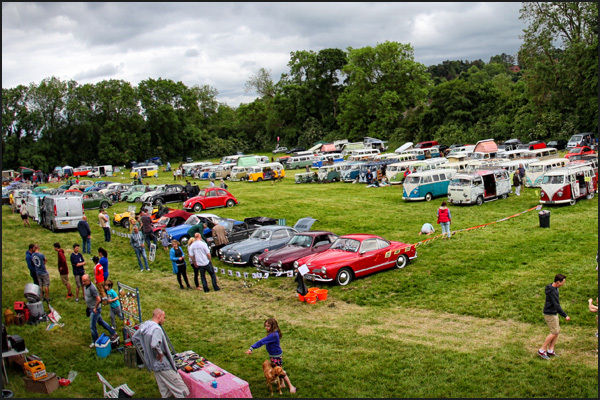 It’s fast becoming the biggest little show around. 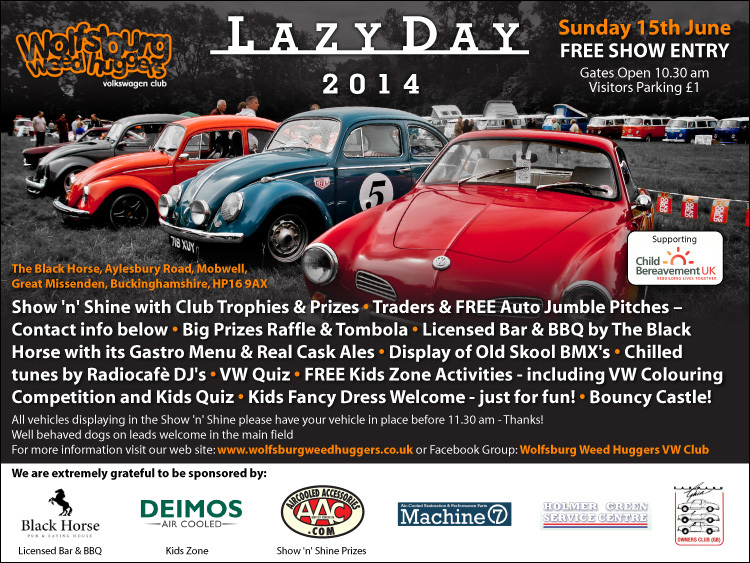 The Lazy Day really is a great family day out. 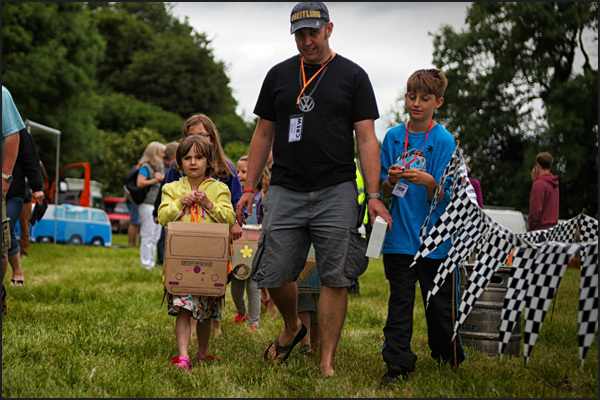 Loads of Dads were brought along on their special day for a look around the show cars and for a meal in the Black Horse gastro pub next door. 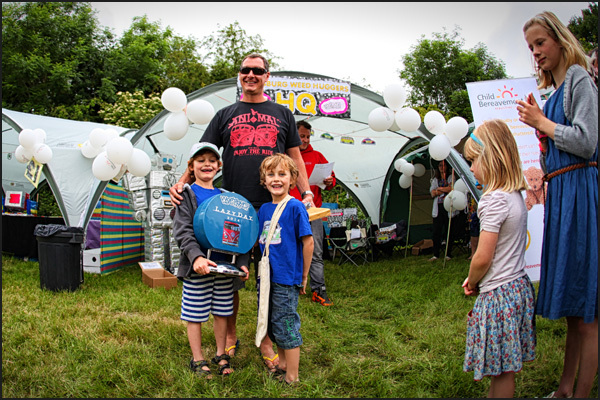 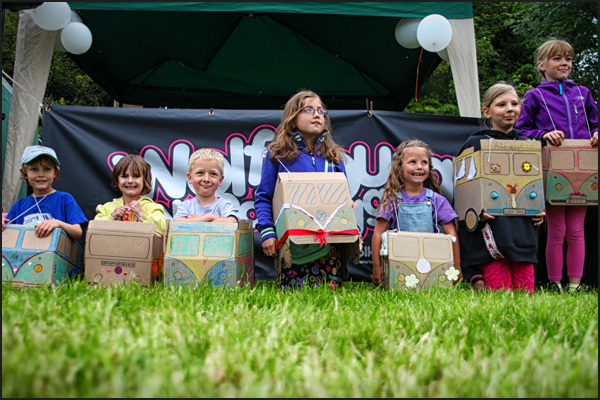 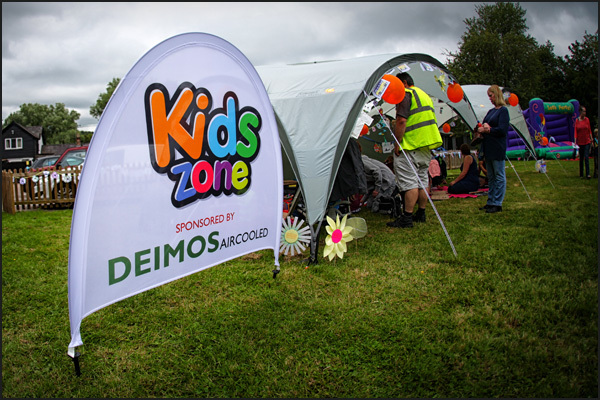 Deimos-sponsored the Kids’ Zone & kept the little ones happy with crafting, football, quiz, a bouncy castle and a bus box parade – and all free! 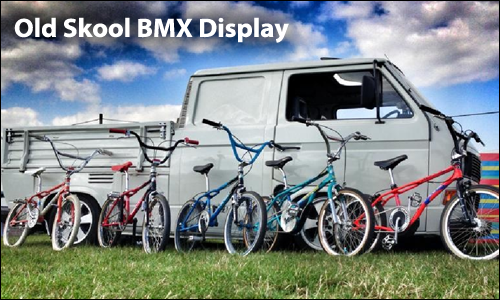 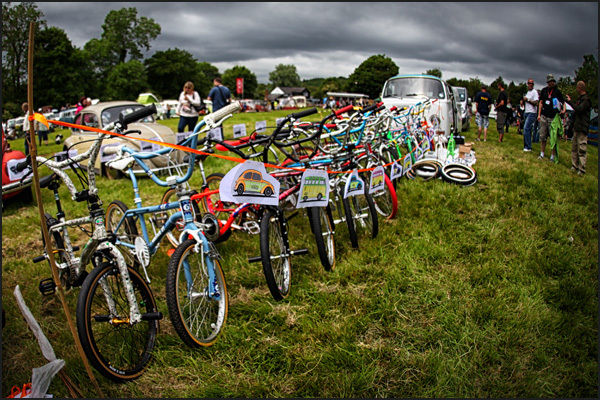 There was a cool display of Retro BMX's by Dave Racine reminding us of the days when life was carefree & nonstop fun. 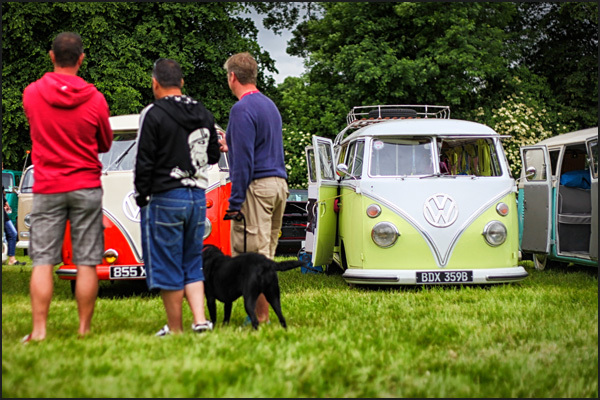 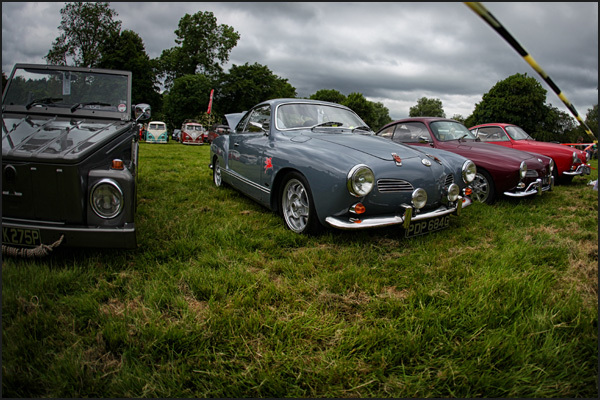 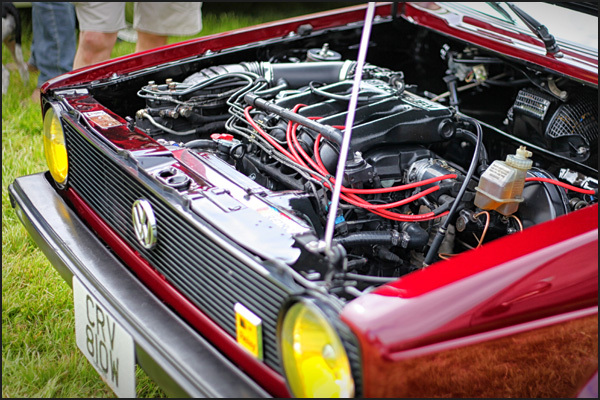 The VW's are the stars though of course, and there was something to please all tastes here too. 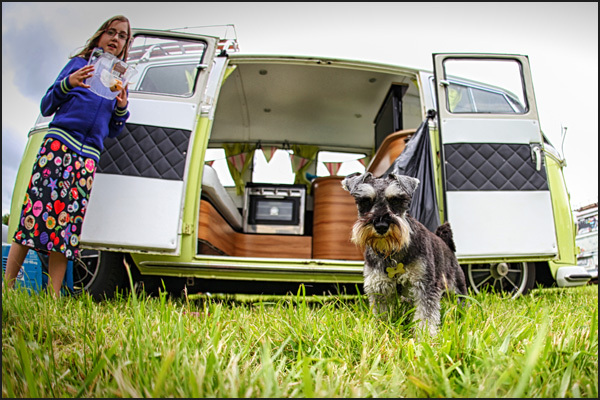 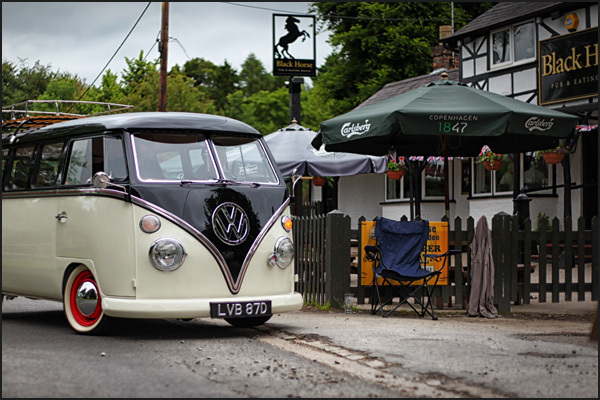 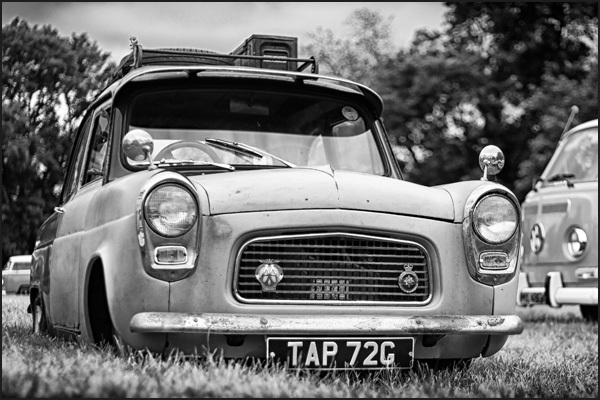 Beautiful new resto's rubbed shoulders with the downright ratty, trekkers, buggies, even Rikki James in his Samba and Luke Theochari's genuine Herbie. 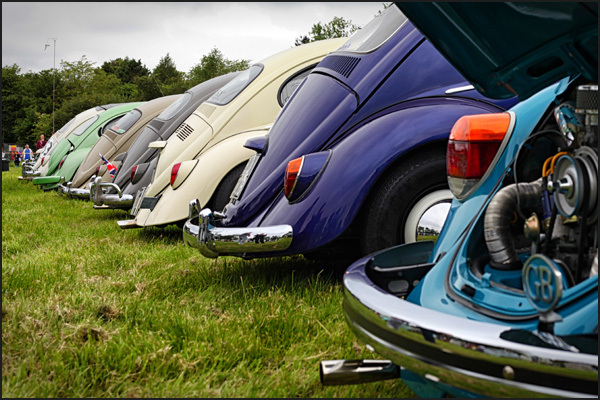 There was a new ‘cool classics’ class too for the non-VW’s who made the trip. 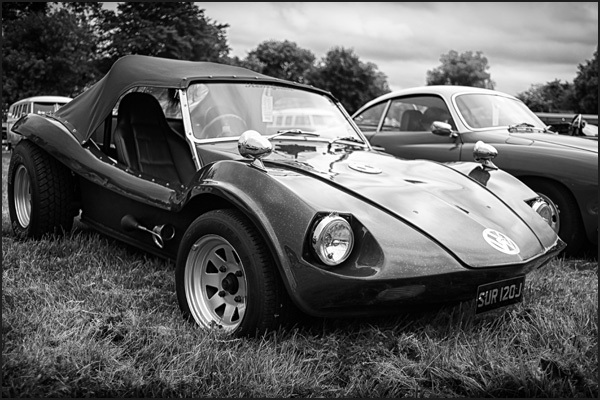 The general rule was – if you rocked up in something cool – you were in the show’n’shine! 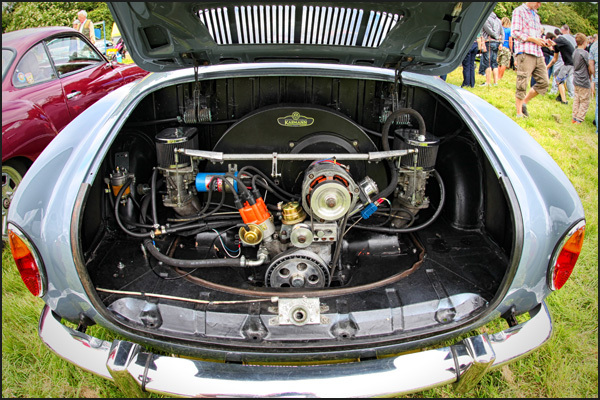 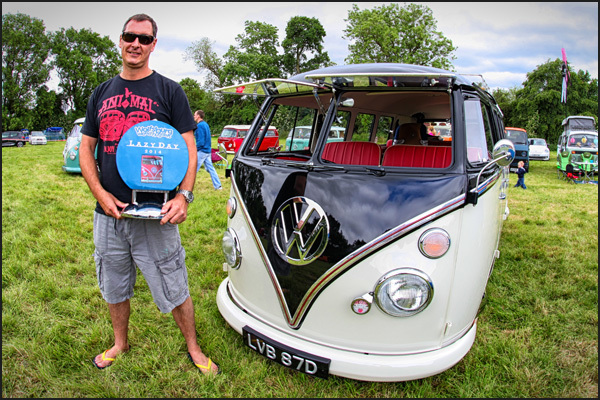 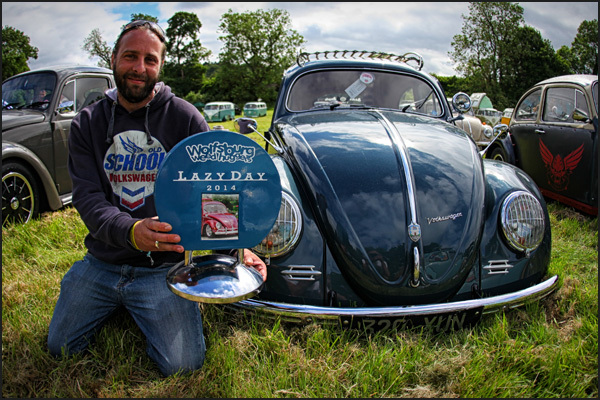 Aircooled Accessories stepped up again to provide awesome prizes for winners of all categories, and a bespoke Wolfsburg Weed Huggers trophy in the style of a Hazet spare wheel toolkit (which detached from its stand to become a beer carrier!) 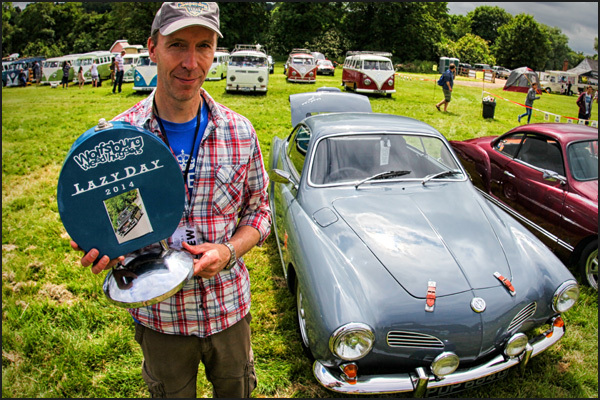 made by Andy Pusey was also handed out to every lucky winner. 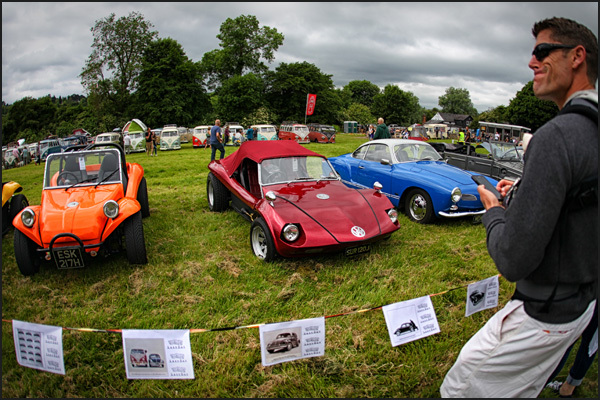 It pained the club's head-honcho Christian Peck, to award the Best in Show to a water pumper this year, but all the winners are voted for by show goers, and they decided Bryan Butler’s Golf was to take home the silverware. 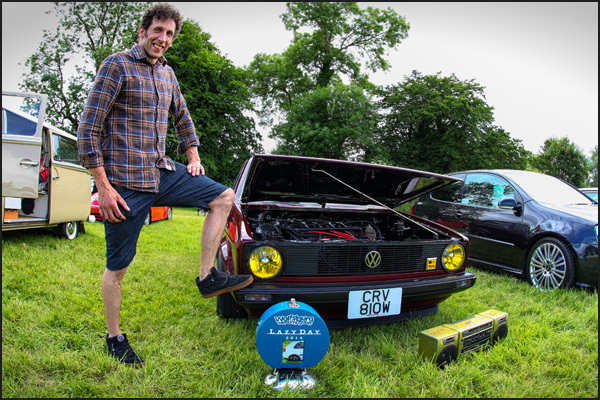 It truly was a work of art and deservedly bagged him the trophy - a specially gold metal-flaked ghetto blaster by Spike’s Resto’s, complete with a C-90 tape of Lazy Day sounds - it doesn't get much more retro than that! 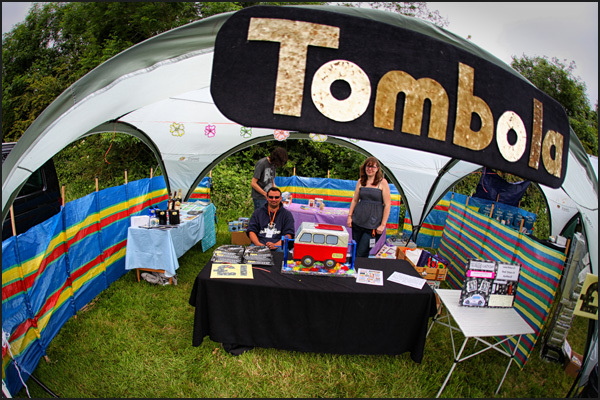 The money raised from the raffle and tombola this year went to Child Bereavement UK, so the WWH would like to thank everyone who chipped in and had a go. 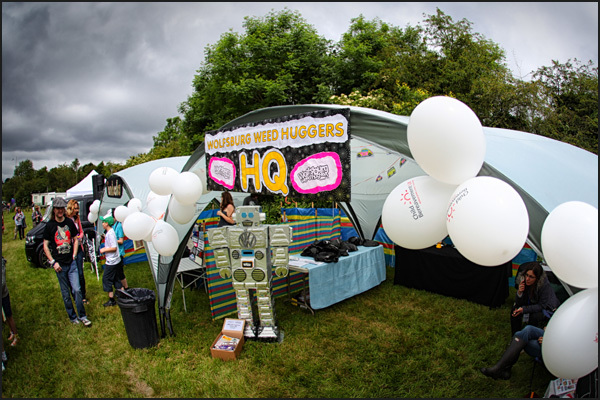 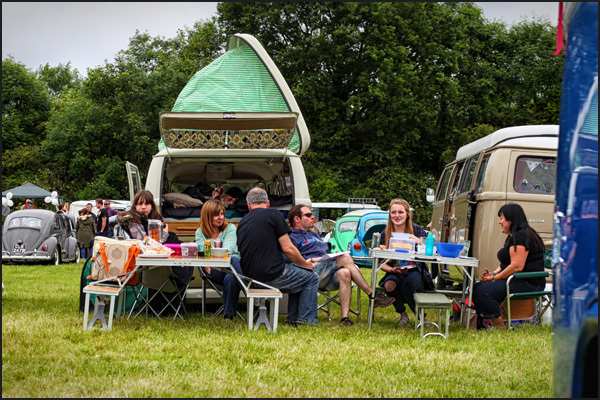 It all made for a great Lazy Day chilling in the Chilterns, and the Weed Huggers look forward to seeing you at the next one!